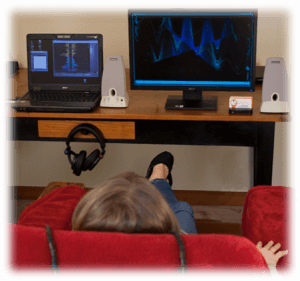 Who Is NeurOptimal® Neurofeedback For? Every brain can benefit from using NeurOptimal® Neurofeedback! 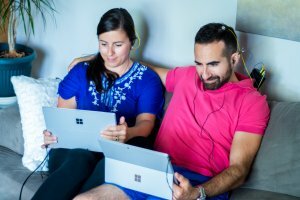 Even though linear neurofeedback has been around since the 1960s, it is only recently (about 17 years ago) that this new way of doing brain training has developed. NeurOptimal® has created this unique and safe technology which helps every brain to function at its best, WHATEVER THAT BEST IS! The number one issue I see in children and teens today is stress and nervousness. This can lead to kids who don’t want to go to school, experience learning problems, are disruptive in class and/or have poor performance academically. What if you could help your child feel more confident, relaxed and to let go of their performance anxiety in the school setting? NeurOptimal® trains the brain to be mentally more flexible, strong, resilient and calm. 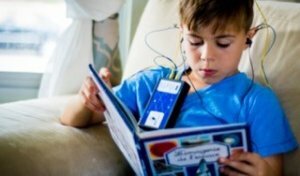 When children and teens train their brains with NeurOptimal® neurofeedback, parents and teachers notice increased focus and concentration, positive engagement, ability to organize their school work and to retain what they are learning. When children and teens feel calmer their problem solving, logic thinking and pattern recognition and eye hand coordination are also enhanced. As the child/teen’s brain begins to function more optimally, teachers notice a shift in the child’s attitude and academic performance. School is not the only place that parents notice shifts in their kids when using NeurOptimal®. Parents report their children and teens are developing better sleep patterns, have enhanced sports performance, better peer relations, less reactivity to difficult situations, less arguing and resistance and a deeper awareness of self and maturity level. Teens often report better decision making skills as well and an overall increase in happiness. 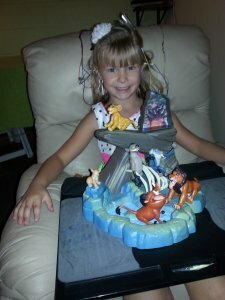 This helps them cope better in our highly charged, stressed environments they are growing up in today. For seniors fear of losing their mental faculties is right at the top of the list of their concerns about aging. In the past these problems were thought to be an inescapable part of growing old. With the rise in the number of cases of Alzheimer’s and dementia these concerns are even higher today. The good news is that help is available now in the form of NeurOptimal® neurofeedback. Just as physical exercise benefits the body, NeurOptimal® keeps the brain fit and resilient. One long term NeurOptimal® trainer who is in his seventies recently discovered that his telomeres were in his teens! The telomeres are a predictor of health and longevity. What a relief to have such a great tool for supporting our brain fitness as we age! 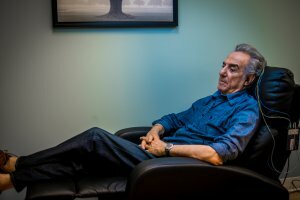 NeurOptimal® neurofeedback encourages an overall positive mental outlook and a deeper understanding of the mind/body connection. For those looking to enhance their daily health and wellness, NeurOptimal® neurofeed-back training can be an excellent supplement to a healthy diet and exercise routine. The benefits of training with NeurOptimal® are increased stability, flexibility, adaptability and greater resilience of the brain functioning. Healthy sleep patterns are another benefit of training the brain. Finally emotional stability is also enhanced making it easier to face whatever happens in life with greater ease and composure. NeurOptimal® works physically emotionally and spiritually to create a unifying consciousness. Some people say that NeurOptimal® even enhances their meditation skills! Brain training helps the brain return to its natural state of optimal performance whatever that state may be. For elite athletes or artistic performers who need great mind/body communication, training with NeurOptimal® helps them to improve physical skills such as eye hand coordination or balance while enhancing their focus and emotional resilience. Being able to keep the mind and body relaxed even in stressful situations can give them that competitive edge which helps them achieve their goals of playing their best. Remember the brain is the control tower for the body! Keeping your brain tuned also keeps the body functioning at its peak. People who have ongoing interactions with each other can greatly benefit from using NeurOptimal®. When more than one person in a family trains with NeurOptimal®, the positive benefits are enhanced since old problematic behavioral patterns are shifted allowing for more positive relationships and interactions. Self-sustaining problematic behaviors are largely unconscious and may be due to obsolete coping strategies which are not consciously recognized. When behavior has an unconscious component, it is very hard to shift it because its activations and the build-up of negative emotions as a result of being triggered, feel out of our control. Stuck patterns also influence how we perceive the world and our overall awareness and sense of happiness and satisfaction. The changes with NeurOptimal® often are so seamless that the old ‘you’ becomes harder to recall as you settle into an increased capacity to relate better. Life experience is now driving the growth and transformational process as your family life improves and relationships become easier. People get along better, there are less outburst and communication is clearer between family members creating greater harmony and wellbeing. One of the most important attributes to a company’s success is its employees. By decreasing stress and aiding longevity in the work environment the management helps the company achieve more productivity and success. Brains which are trained to function at optimal efficiency are the cornerstone to executive performance. Dealing with stress effectively, thinking clearly, being productive and having a clear focus is crucial for anyone on a team, especially CEO’s CFO’s and all other upper management staff. Without clarity at work and harmonious relationships, productivity levels go down and interactions between team members is affected. Increased awareness, living in the present moment, clarity in decision making, more intuition and increased creativity, positive coping abilities and mindfulness can be part of a healthy working environment when NeurOptimal® is used.